See for yourself, the new Draincables Direct powerful drain cleaning machine for plumbers and facility care management. Ideal for 1-1/4" to 4" drain lines up to 75'. Take advantage of sale pricing on your favorite Draincables Direct products. Save big on Drain Cables, Accessories, and Eagle Eye Cameras from Draincables Direct. Give our sales team a call at 800.421.4580 for additional details. Sale ends April 30, 2019 or while supplies last. Limited Products Available. Pricing only available on in–stock items. Save on monitors, locators, drum machines, and more with our RIDGID Spring Cleaning Sale. Special pricing available only while supplies last. From our start, we have focused on manufacturing American made drain cables and providing them directly to hard-working, dedicated plumbers and drain cleaners. There is no extra distribution channel when you purchase from Draincables Direct, you get American made sewer cables direct from the manufacturer. 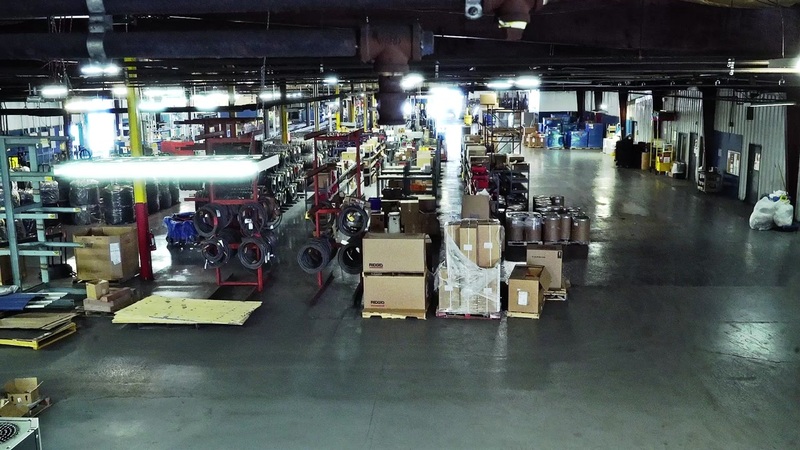 We provide on-site sales calls and training in Cleveland, OH; Orlando, FL; Houston, TX; Dallas, TX; New York, NY; Indianapolis, IN; St. Louis, MO; Detroit, MI and Northwest Ohio with American Made drain cables and plumbing and drain cleaning replacement parts, drum machines, blades, cutters, jetter hose and nozzles.